AUSTIN, TX – October 12, 2017 – Mood Media, the world’s leading in-store media solutions company dedicated to elevating the Customer Experience, and Sacem (the Society of Composers, Authors and Music Publishers) recently piloted a study* about the power of music in businesses, evaluating the impact on site music has on Customer Experience across a variety of brick & mortar locations, including sectors deemed more serious such as banking. 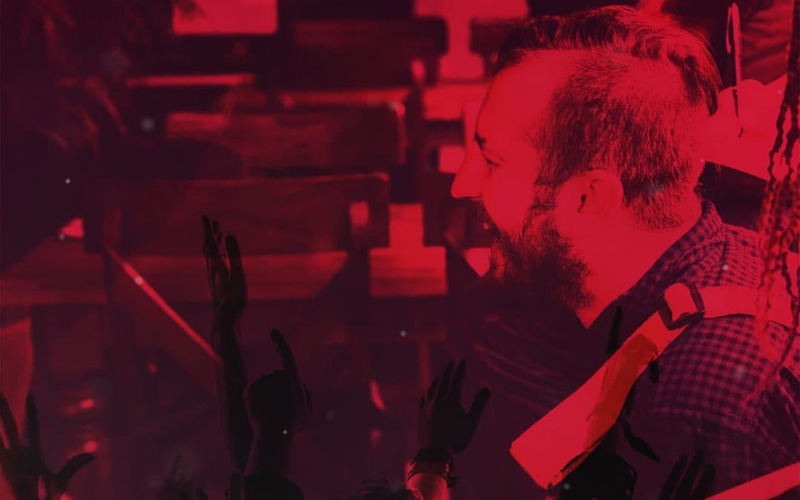 The study measured the difference overhead music made for both customers and employees in five France-based brick & mortar locations that had not played music before – including businesses in the banking, optics, pharmacy, gas station and sports apparel industries. 70 percent of customers had a more positive perception of a business’ image when the site was playing music; 65 percent of customers agreed that on site music helped to differentiate the business from its competition. 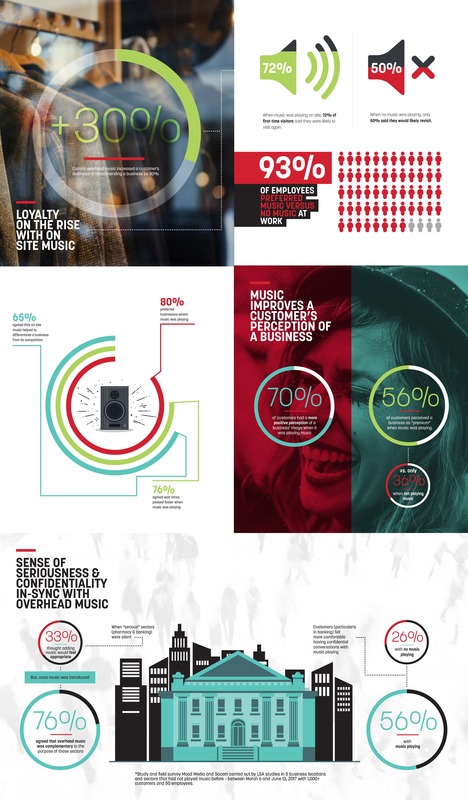 93 percent of employees preferred music versus no music at work. When more traditionally serious sectors (banking & pharmacy) were silent, only 33 percent of customers initially thought adding music would feel appropriate in those establishments. However, once introduced, 76 percent of customers agreed the overhead music was compatible with and complementary to the purpose of those sectors. The majority of customers, particularly in banking, felt more comfortable having confidential, private conversations when music was playing to somewhat mask their conversations from others. Nearly 8 out of 10 customers within these usually silent locations said they prefer the site when enhanced with music. The Net Promoter Score (NPS) – an index measuring the willingness and likelihood of customers to recommend a company’s products or services to others – increased by 30 percent when customized music was playing compared to when the establishment was without music. When music was playing on site, 72 percent of first-time visitors said they were likely to visit again. When the business had no music playing, only 50 percent indicated they would likely revisit, a 22-point decline in customer return rankings. 76 percent of customers felt that their service wait times passed faster when music was playing. The perception of a business as “premium” increased by 20 points, from 36 percent to 56 percent when the business played music. 67 percent of employees perceived customers as being in a better mood when music was playing on site. On a daily basis, music is an important element for business employees. Site associates consider music to be a real motivator: 93 percent of the employees studied prefer listening to music at work. Once exposed to music in the “serious” business environments such as banking & pharmacy, 76 percent of customers agreed that the music was compatible with and complementary to the seriousness of the sectors. 56 percent of customers felt more comfortable having private, confidential conversations when music was playing on premise, as compared to just 26 percent when no music was playing. The research, both quantitative and qualitative, resulted in feedback from over 1,000 customers and 50 employees, taken both before and after music was playing. Mood Media designed and distributed custom music programs conceived specifically for each brick & mortar business, while an independent research institute (LSA studies) oversaw measuring the reactions of customers, site managers and site employees. Mood Media Corporation is the world’s leading in-store media solutions company dedicated to elevating the Customer Experience. We create greater emotional connections between brands and consumers through the right combination of sight, sound, scent, social mobile and systems solutions. Mood reaches more than 150 million consumers each day through more than 500,000 subscriber locations in 100+ countries around the globe. Mood’s clients include businesses of all sizes and market sectors, from the world’s most recognized retailers and hotels to quick-service restaurants, local banks and thousands of small businesses. For more details: https://moodmedia.com.au/. The Society of Authors, Composers and Publishers of Music (Sacem) aims to represent and defend its members’ interests in view of promoting musical creation in all its forms (from contemporary music to jazz, rap, hip-hop, French chanson, film music, music for video, etc.) along with other repertoires (humor, poetry, dubbing-subtitling, etc.). Its key mission is to collect royalties and distribute them to authors, composers and publishers whose works are disseminated or reproduced. A private organization, Sacem is a non-profit entity managed by creators and publishers of music elected to its Board of Directors. It has 161,170 members, including 19,650 creators from outside France (4,206 new members in 2016) and represents over 118 million works from the global repertoire. In 2016, Sacem distributed royalties to 298,000 authors, composers and publishers worldwide for more than 2.2 million works.